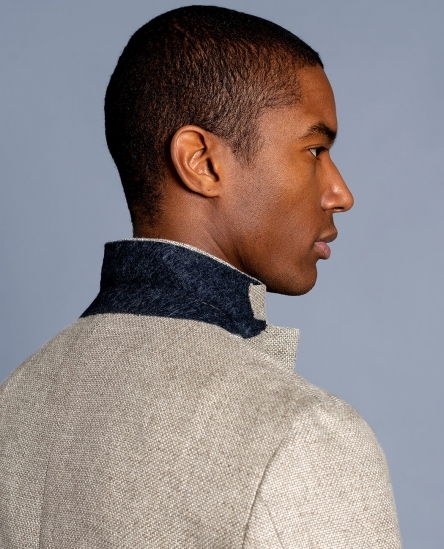 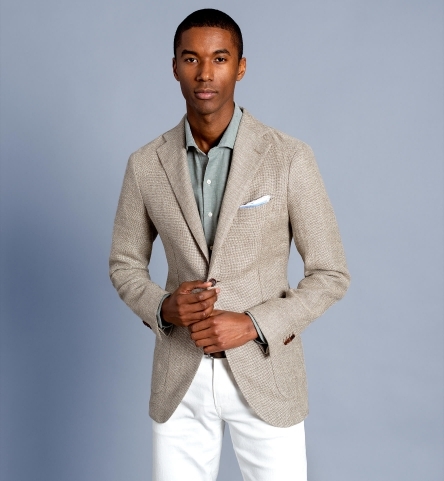 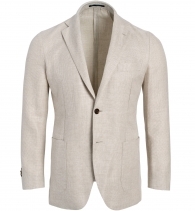 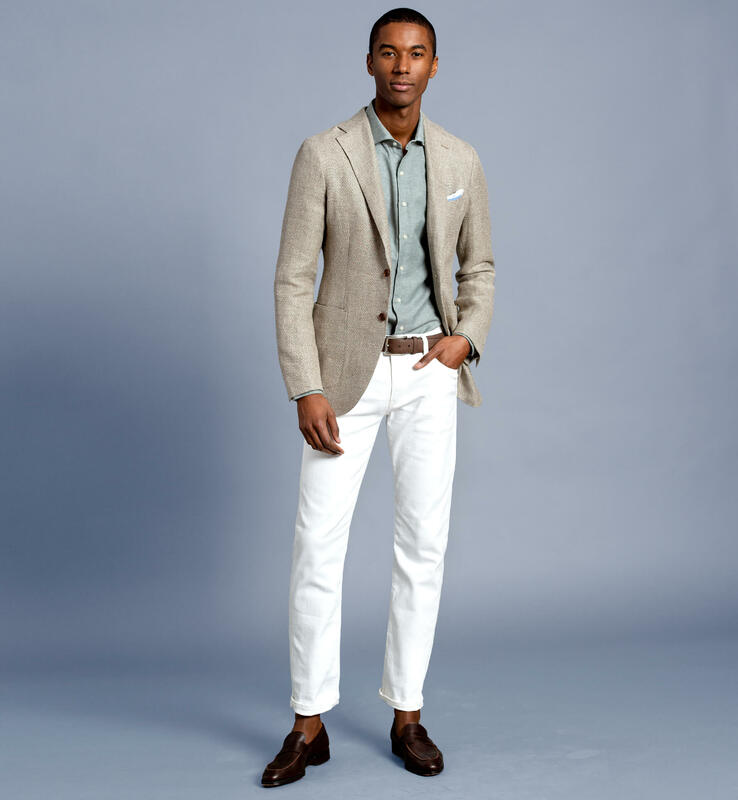 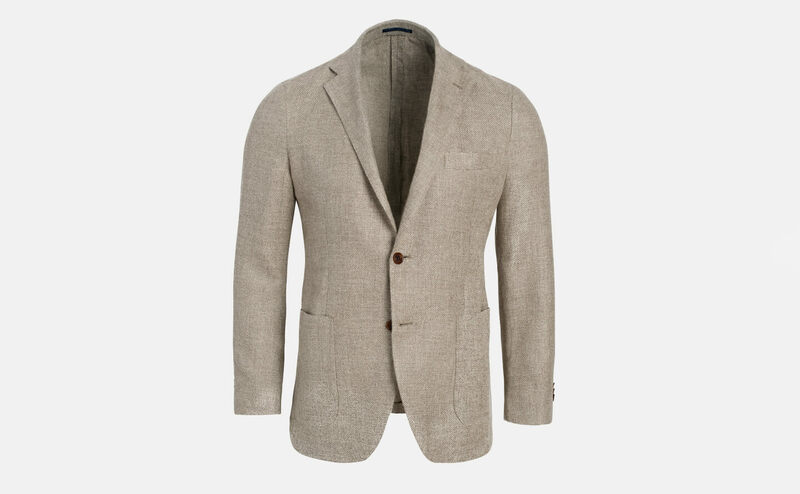 A luxurious, unstructured beige sport coat crafted with incredible attention to detail. 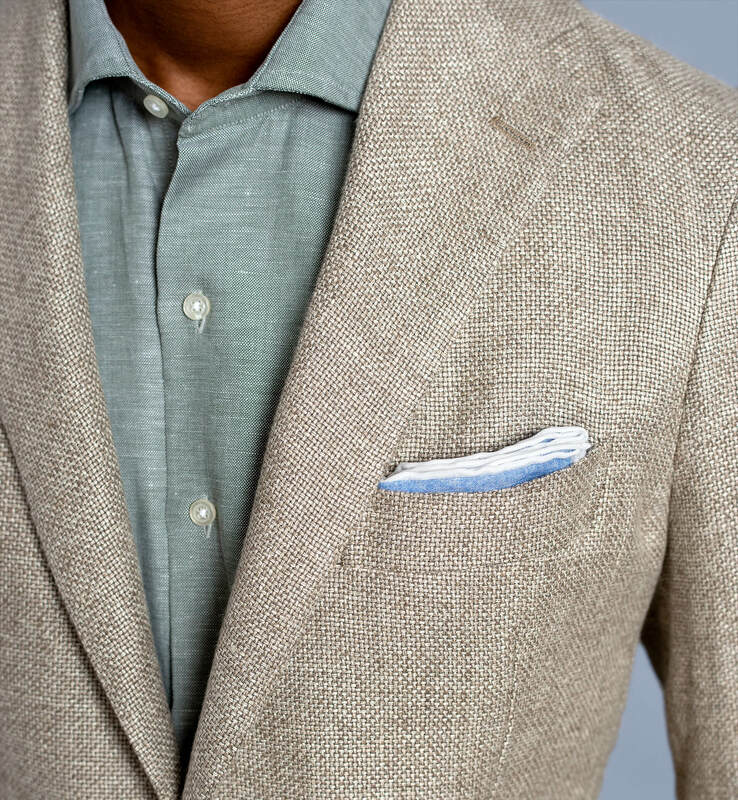 Made in your custom size using a remarkably soft yet textured linen and wool blend fabric from the Delfino mill in Biella, Italy. 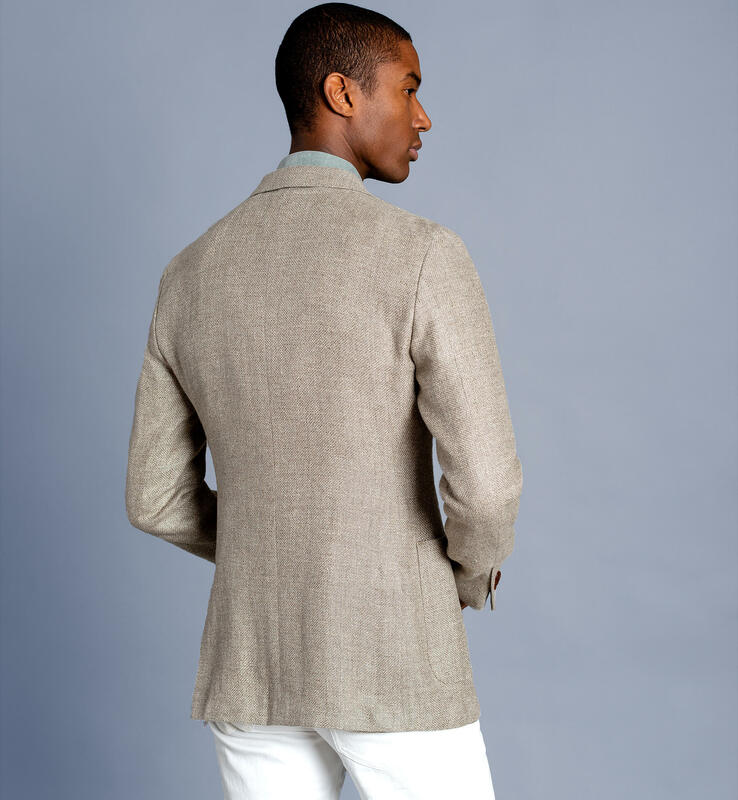 This jacket has no canvassing or shoulder padding for an easy, natural look and feel. 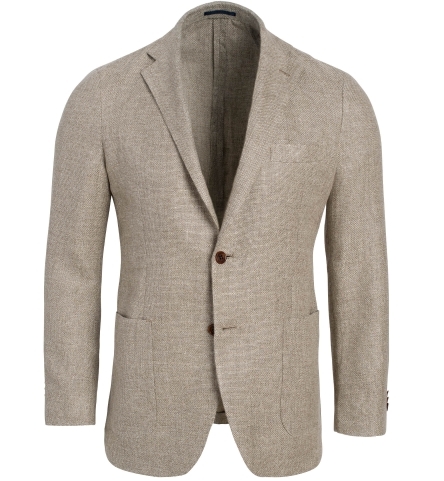 An unlined, beautifully finished interior highlights the workmanship of the jacket and keeps it lighter in weight. 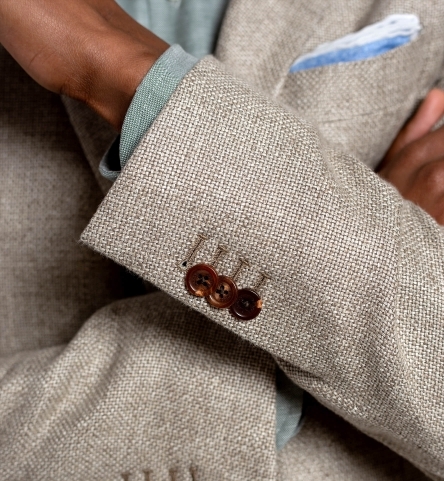 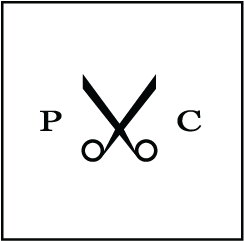 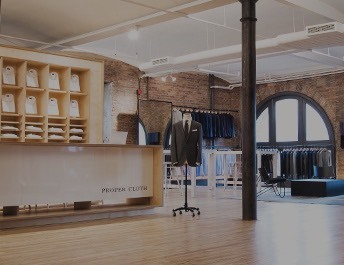 The design features a two-button front, patch pockets, and a timeless 3.5" notch lapel.